For years, there’s been a little stick of a tree in Rivervilla Park. Just a Charlie Brown sprout, maybe three feet tall. This spring, it disappeared, but a few small green shoots emerged in its place. While I was speculating over whether it might have been clipped by the mower, a crazy idea popped into my head. This tiny sapling must be Baby Groot. Worried he would fall victim to another haircut, I decided to offer protection in the form of a sign. That sign’s been up for over two weeks now. Apparently, the county doesn’t feel inclined to remove it, the general populace approves, and it hasn’t yet been discovered by vandals. My outdoor office sits in the shade of a neighboring cottonwood, maybe fifty feet away, which gives me a prime view of people discovering the sign. There was the hyperactive little boy who paused in his rampage to read it and say “Ha! Baby Groot.” The lady who asked if I knew who’d put it up, proclaiming it hilarious. The boy who began chanting, “I am Groot!” to his friends. 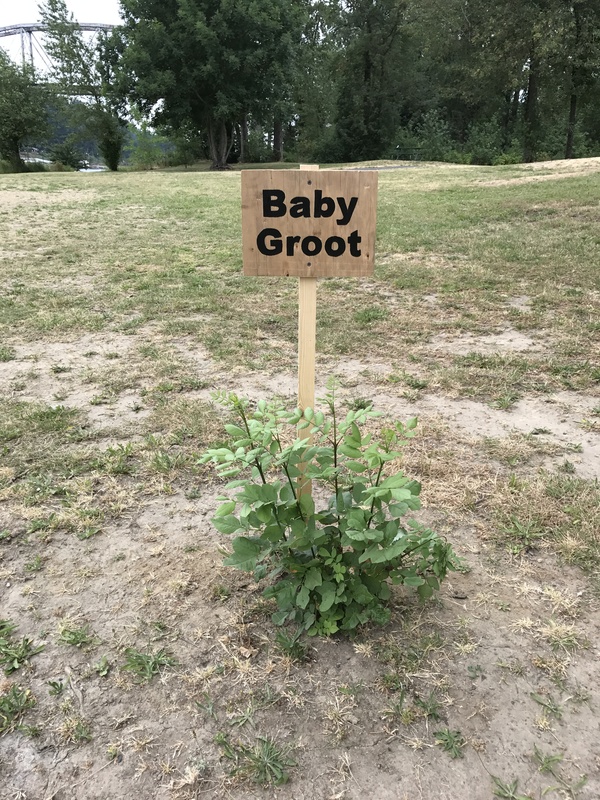 The older couple who scratched their heads, husband asking, “What’s a Baby Groot?” The lady with her two kids who said, “Isn’t that cute?” and another who barked out a surprised burst of laughter, both of whom pulled out their cell phones to snap a shot. And then there was the woman who quietly consulted Siri before explaining the reference to her companion. Baby Groot has had his picture taken many times, and my buddy Geoff says he smiles every time he sees him. That’s the overall reaction: grins and laughter. Even those who need to have the reference explained seem get a kick out of it. There are a lot of regulars at Rivervilla. River friends who take walks, swim, or bring their dogs for a run. Several have asked me flat out if I was the one who made the sign, nodding and saying, “I thought so” when I admit I did. After seeing me shovel seven or eight cubic yards of mud and goose poop off the asphalt path following the flooding this spring, they know I’m a little quirky, a little nuts. And you know what? I’ll gladly claim those labels. 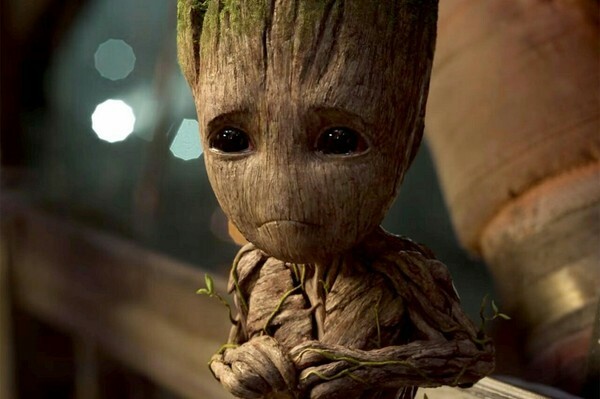 I’ve had as much fun watching people’s reaction to Baby Groot as they’ve had discovering him. I love that my crazy-assed imagination, a little bit of paint, and an hour or so of work has “given people a happy.” If that’s all I ever achieve in life, it will be enough. “Discovering Baby Groot,” copyright © 2017 by Lisa Nowak. 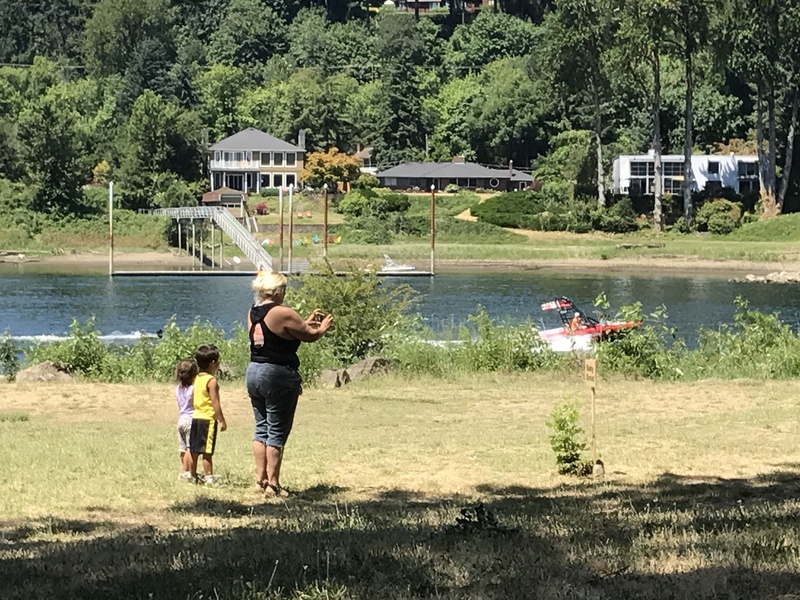 This entry was posted in Humor, Musings, The river and tagged Baby Groot, Rivervilla Park. Bookmark the permalink. You are not strange. 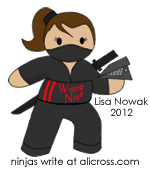 You are a uniquely creative woman. Smiles are a great reward! Hail, Baby Groot! A simple, yet entirely profound symbol.